The information collect would generally comprise name, address, telephone, fax and email contact details, as well as the details of the DecEzy licence you have purchased. Should you contact us requiring technical or similar assistance, information relating to your problem and our suggested solutions are also recorded by us to assist in better customer relationship management. We collect personal information so we can communicate with you about the software product that you use and efficiently manage and administer your DecEzy licence, and other products you provide to you. These communications could relate to software upgrades, feature variations or enhancements, any particular issues or problems that have been detected within the software and corrective measures that may be taken, and informing you of other Bruma products and services, including the availability of specialised item price lists. Identification and revalidation of software end-users assists Bruma in establishing who is legally permitted to use the DecEzy licence, and therefore assists us in enforcing copyright and intellectual property rights. In the case of financial information requested from parties wishing to be resellers and, as such, be provided with DecEzy software stock on credit terms, this information is used to perform credit referencing and checking. With the exception of the final bullet point above (where the information is disclosed to a credit referencing bureau), very little external disclosure of your personal information is made by Bruma. 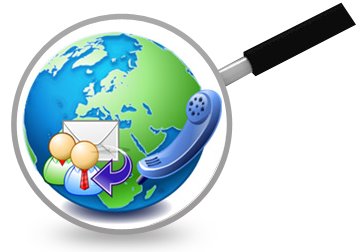 In the event that an external party wishes to communicate with any or all parts of the Bruma database, and Bruma is agreeable to this communication being sent, we would generally undertake the communication on behalf of the external party (but at their cost), so that access to the personal information of our customers remains with Bruma. Bruma may use, from time to time, external service providers to facilitate communications with its customers, for example a mail house. In these circumstances, Bruma may provide personal contact/address information to the external service provider to enable the communication to be dispatched. Such information is provided to the external service provider on the strict basis that it be used for this purpose only and agreements are put in place to ensure this. Login to your DecEzy account and view/update the details. From time to time, this statement may be amended. An up-to-date version of the Privacy Statement will always appear at the www.decezy.com website. Furthermore, you may request a hard-copy of this Statement from either the addresses referred to above.